Adding photos and video content to the rounds you play is a great way to share your experiences with friends, as well as capturing your moments on the course to look back and remember the great times that you have! 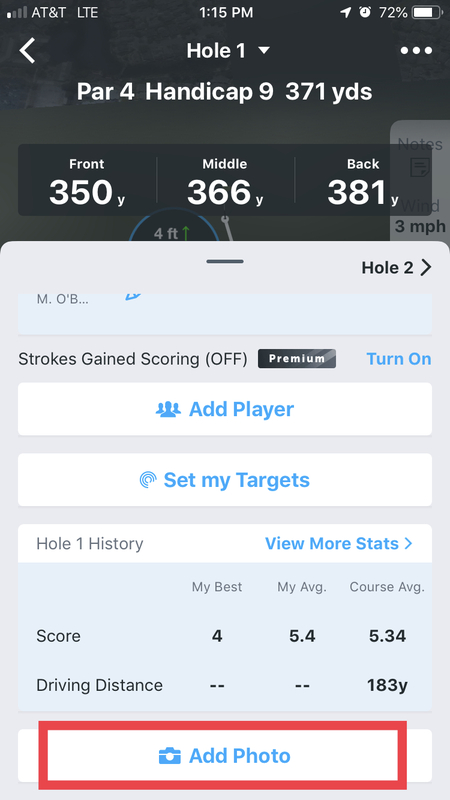 Once your round has started, scroll to the bottom of the scoring screen and tap Add Photo. Once you have selected or taken a photo/ video, you will be taken to the Gallery Post screen. 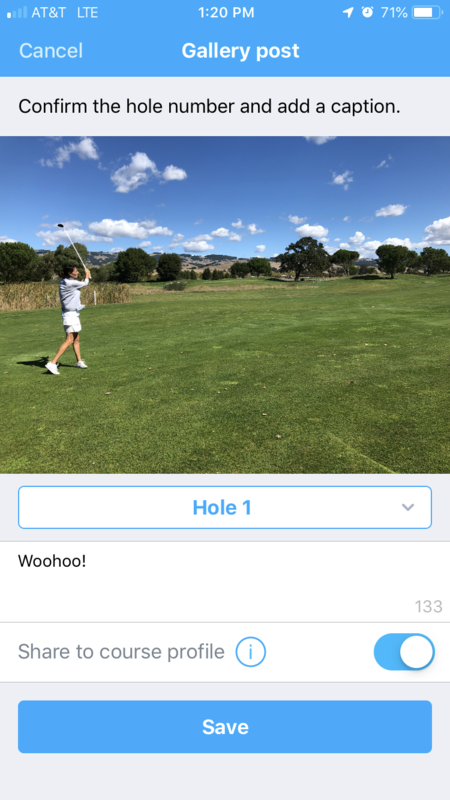 From the Gallery Post screen, you will see the photo you selected, the hole the photo was taken, a caption box to add details to the photo and an option to share the photo/ video to the golf course profile*. *When enabled, your photo may show on the public profile for the course. Once you have confirmed the hole, entered a caption and decided whether to share to the course profile, tap Save to post the photo/ video. Once you tap Save, you will be returned to the main scoring screen. Round Gallery and Sharing Features from 18Birdies on Vimeo.